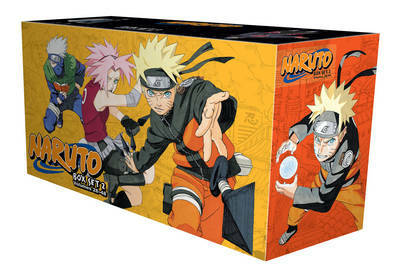 The second Naruto Box Set and the start of the Shippuden part of the story. This set features volumes 28~48 at a substantial savings over buying them individually, along with an exclusive mini-comic containing the pilot story of the series and a full-colour, double-sided poster. It's been more than two years since Naruto left to train with Jiraiya. Much has happened while he has been away, and new threats to the ninja world have emerged. Can Naruto prove his worth and rescue his friend Sasuke?